Recently I counted all my shoes and found that I have 70 pairs. For a regular person this would be more than enough, but for a shoe-a-holic like me, it's not. 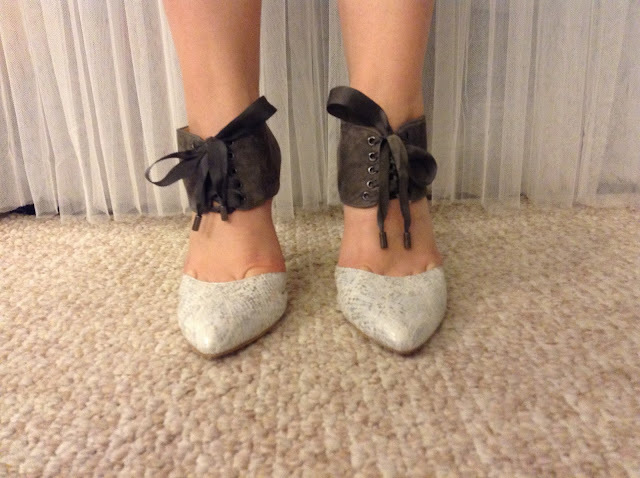 So, I went online and then went to store and ended up buying two new pairs of shoes that I'm obsessed with. I had to post them on my blog because they are just too amazing not to. 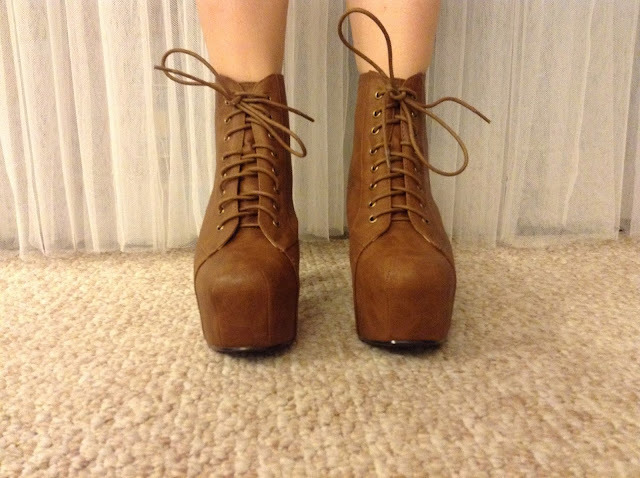 I've wanted the Jeffrey Campbell Lita booties for such a long time, but I did not want to pay $160 for them. Then, one day while browsing Amazon, I came across these babies and I knew I had to get them. First of all, they look exactly like the Jeffrey Campbell boots, and they only cost $38! (Another reason being that I saw Lydia Martin wearing similar ones on Teen Wolf and I love her style.) 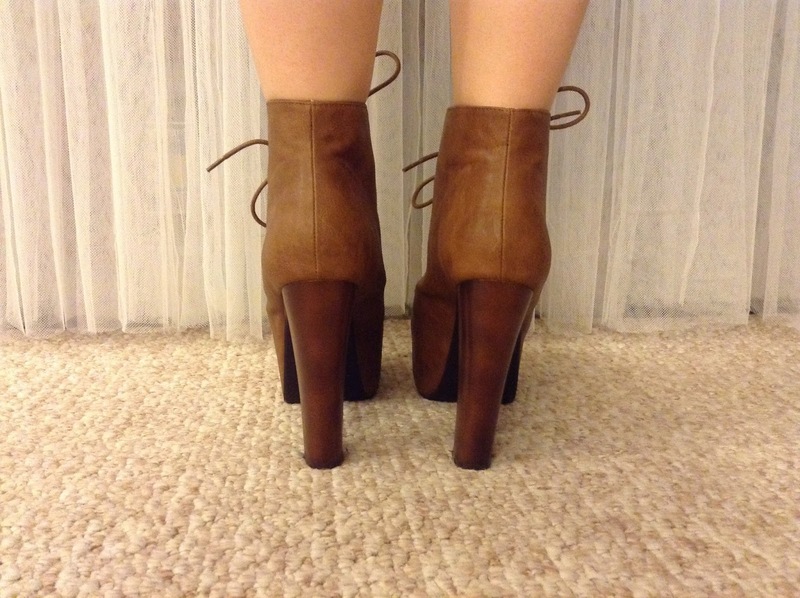 I love these because they are very tall, but also comfortable because of the big platform. I also love this color because it will be so great in the fall and they will stand out among the darker colors that I wear. 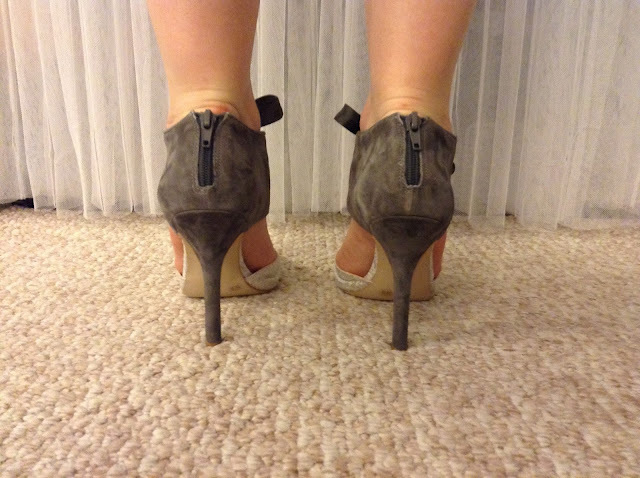 Now as for these shoes... I remember walking through the isles of shoes at Nordstrom Rack, when I saw these. It was love at first sight. I tried them on and they fit perfectly. The best part was that they only cost $29.97, while I thought they would be hundreds. They were originally from the brand "Sole Society." I love them because they are so unique and look so expensive. 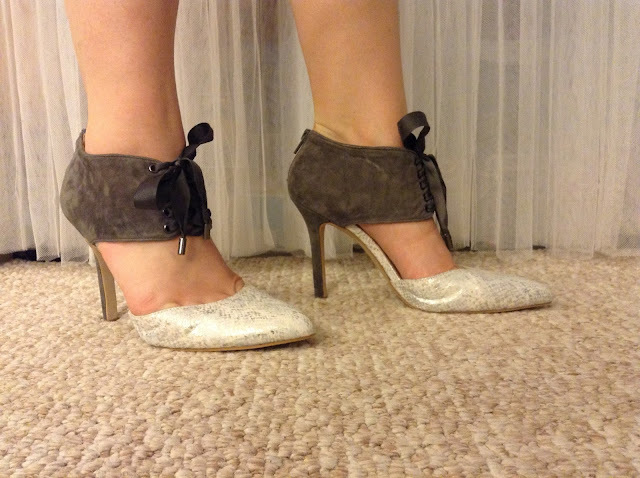 The gray suede material and the silver/white snakeskin go so well together. Blair Waldorf would definitely approve. These photos definitely do not do them justice. I love the second pair of shoes! The first pair is also lovely, but I think I would never wear them because they are quite high!